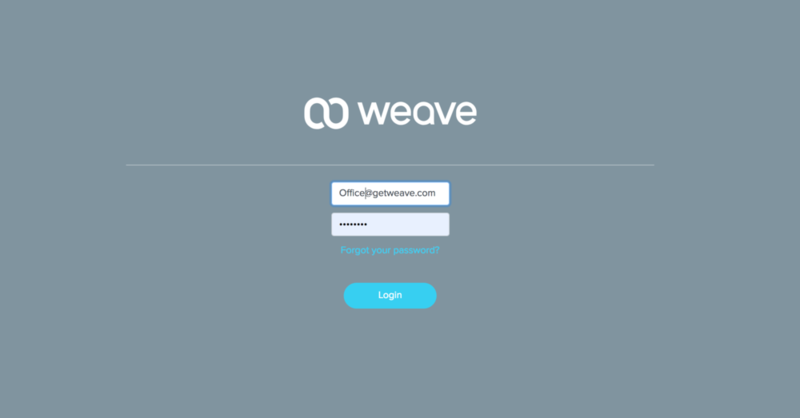 Weave also offers an Interactive Voice Response for offices that would like to route their callers into a menu. If you are interested in more information about how this works check out our IVR - Interactive Voice Response option from the menu on the left hand side of this screen. If you want to be able to listen to your office voicemails when you are outside of the office you can sign up for “Email and or Text” notifications. If you would like to receive an email and/or text when you are away from the office, letting you know that a new voicemail has been left contact our Support Team by clicking on the blue chat bubble below or your emailing your Weave Onboarding Representative to add this feature. Once you have signed up for Voicemail Notifications you will be sent a notification that a new message has been left. Clicking on the hyperlink in the email or text will take you to a HIPAA secure link where you will log in to your Admin Portal with your Weave user name and password. From here you can listen to your voicemail messages. Click on the Hyperlink in your email/text notification to log into your Admin Portal. Click 'Play’ icon to listen to the voicemail recording. If you need to re-listen to the voicemail go back to your original text or email notification and click on the hyper link or button again.